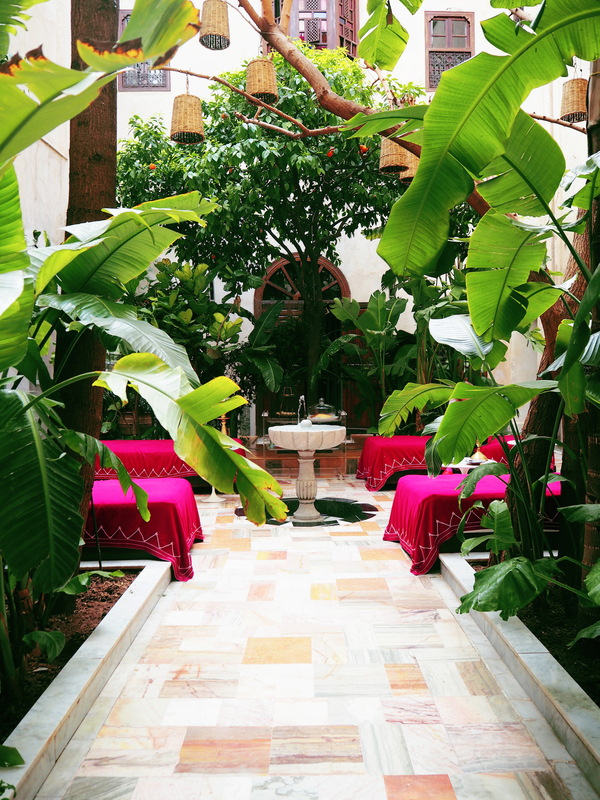 On a recent trip to Marrakech, I stopped by the insanely gorgeous El Fenn Hotel located just inside the medina. Even though we only had lunch on the rooftop, I found myself completely taken back by the strong colors, patterns and decor of this spectacular place. 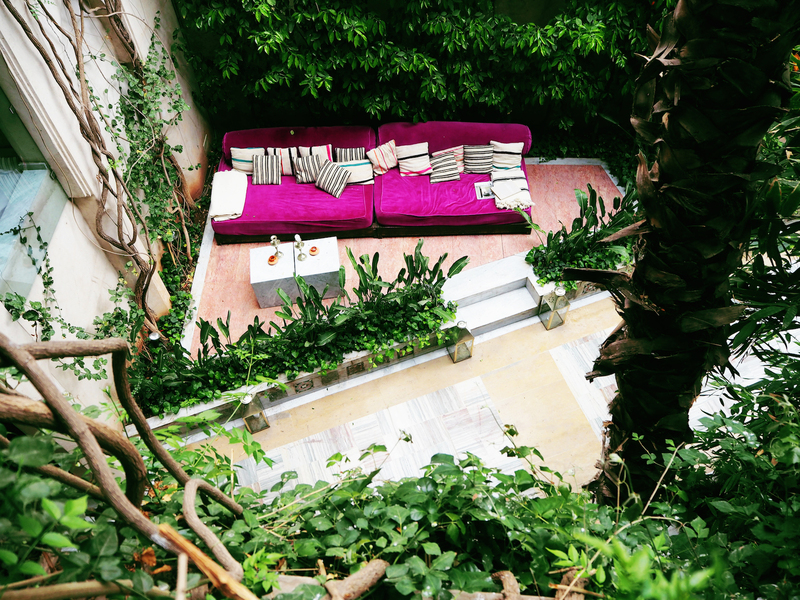 Designed within a couple riads, the El Fenn had little coves and courtyards full of greens, orange trees and super saturated hues. 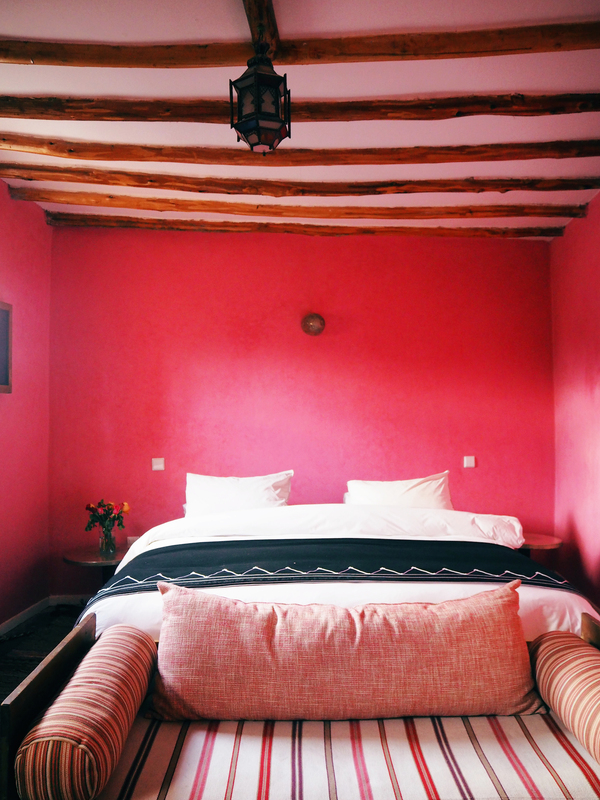 This hotel is honestly pure magic … pure design magic that is! My friends ended up staying here as well and I was also able to see a couple of the rooms which were just as incredible. Here is a little glimpse of the design of the El Fenn. 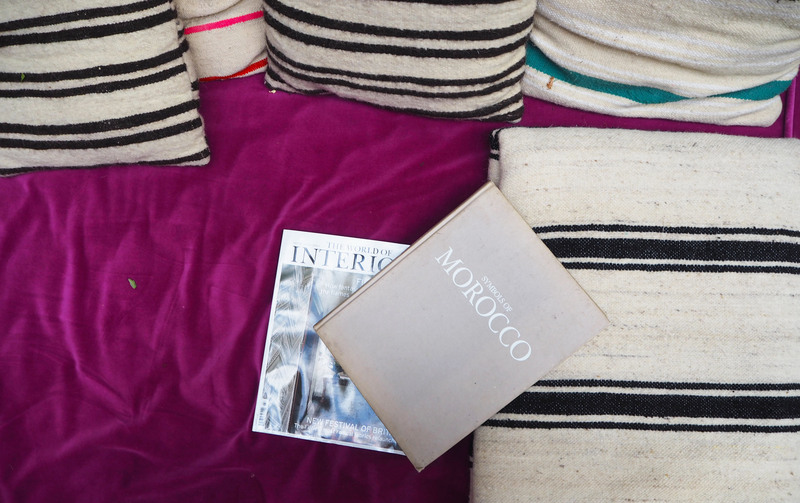 If you are travelling to Marrakech I highly recommend staying there or at the very least stopping by for a mint tea on the rooftop! Check out more of this hotel here. Sofa and cushion details in one of the courtyards. 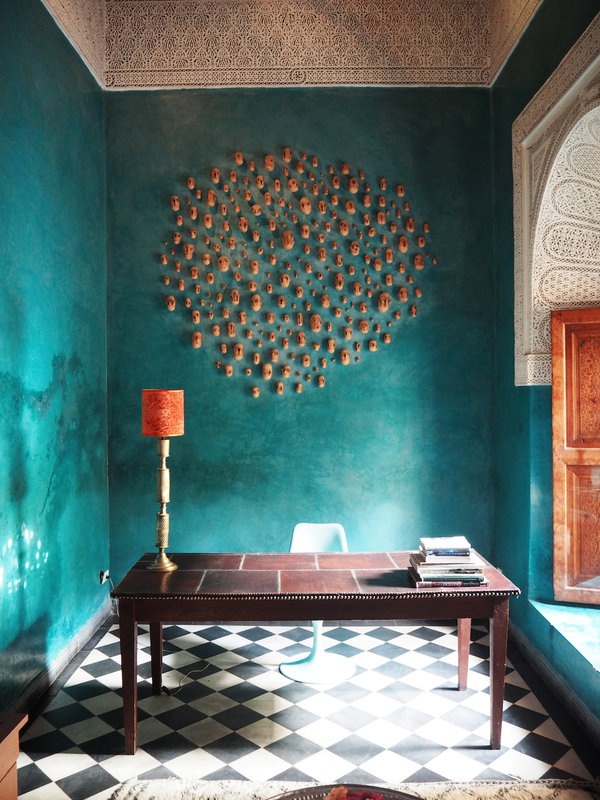 One of the hotel rooms, this little desk nook was absolutely stunning. 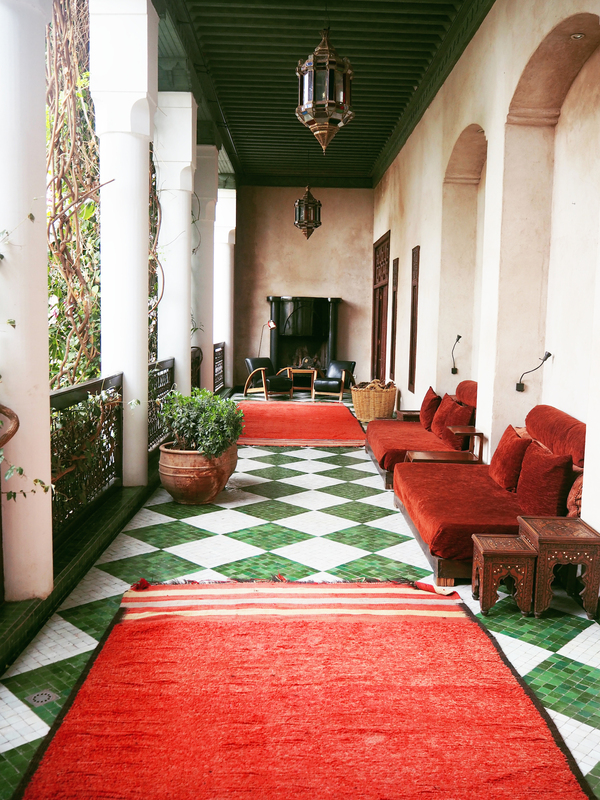 The courtyard of the riad. My very spot was this terrace. The colors were stunning together. Another favorite of mine. 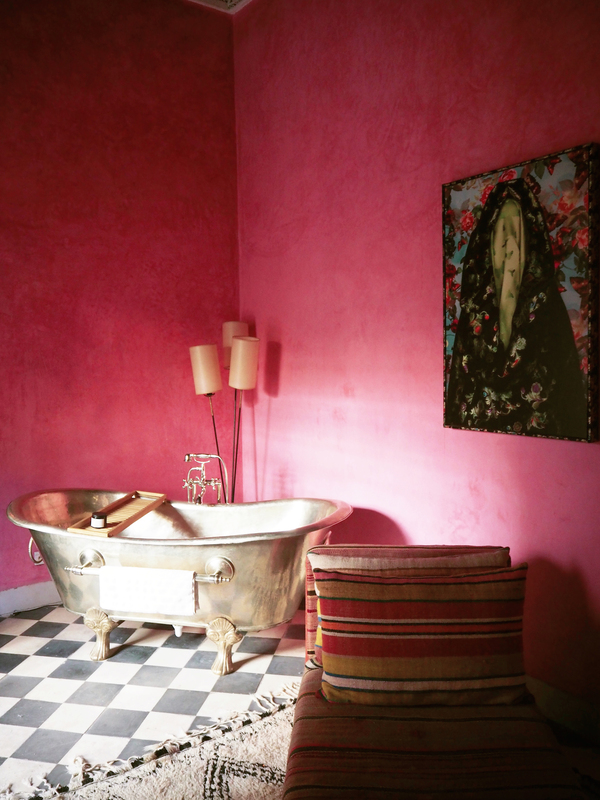 This room was all pink but the little bath tub nook was so incredible. 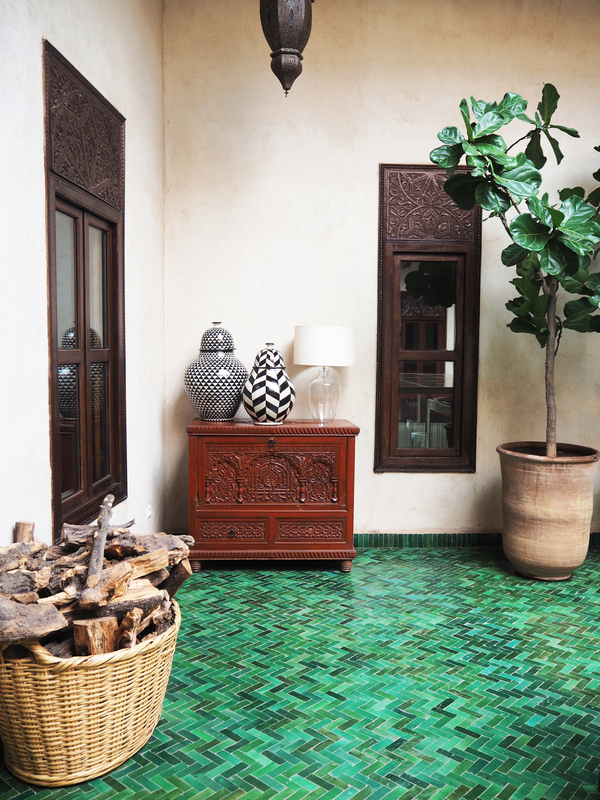 A perfect mix of greens and neutrals. 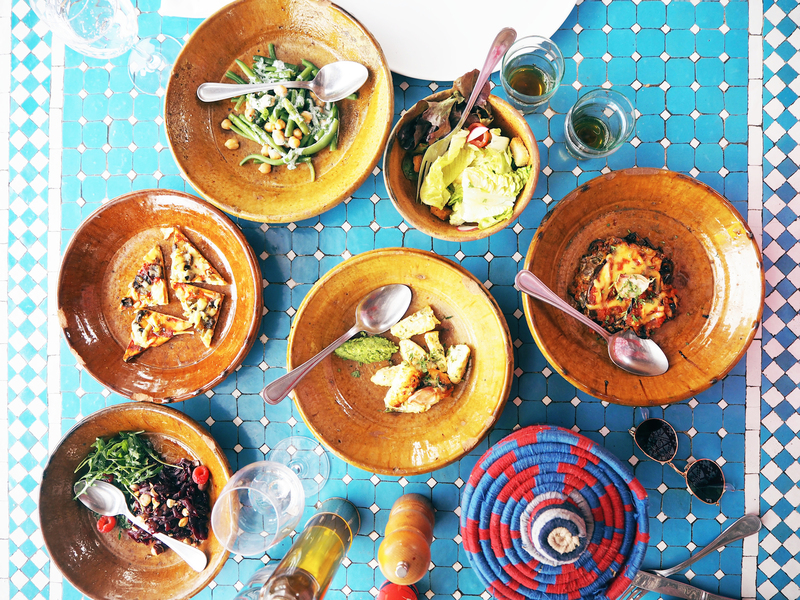 Lunch on the roof top. 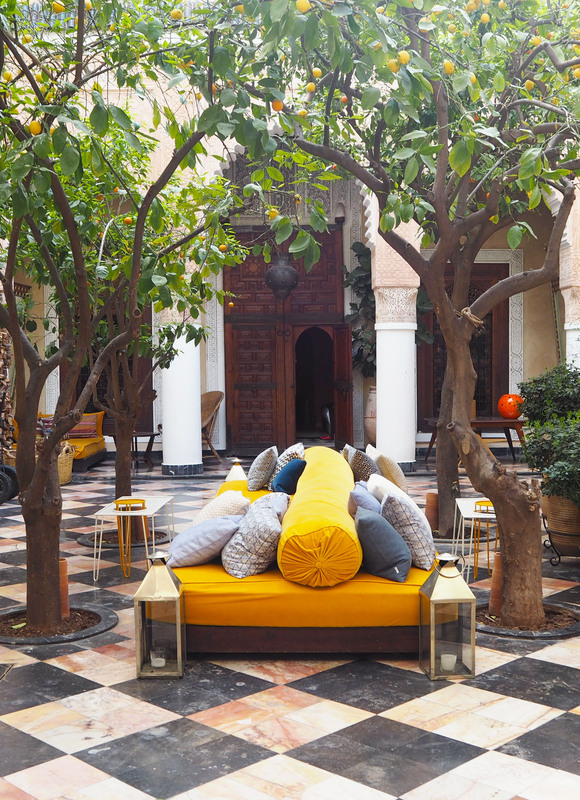 Another courtyard with golden yellow sofas and blue cushions … topped off with orange trees. 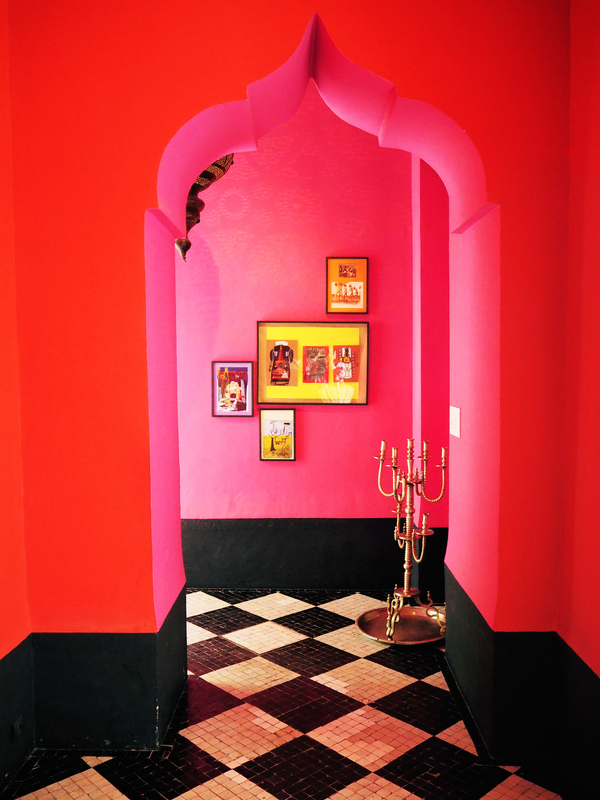 This was one of the hallways which was so vivid and amazing. 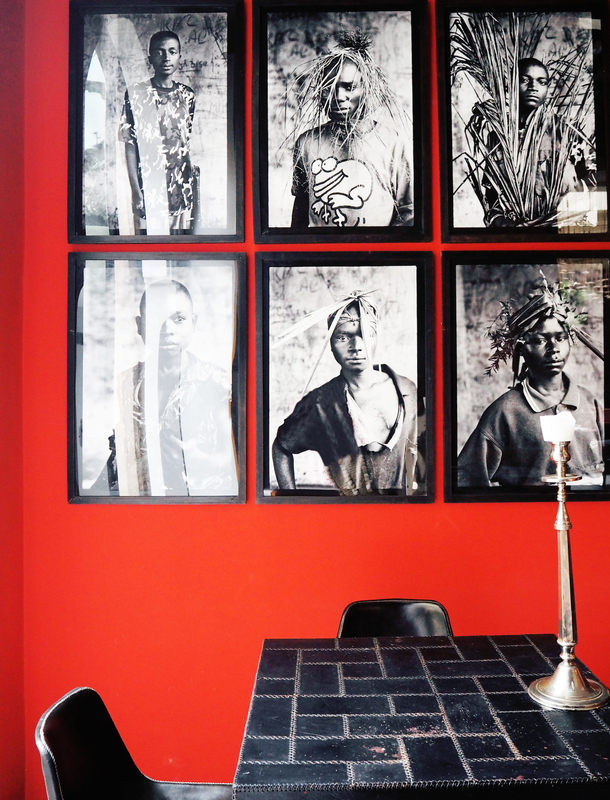 Strong contrast of colors in the restaurant. I loved this space. 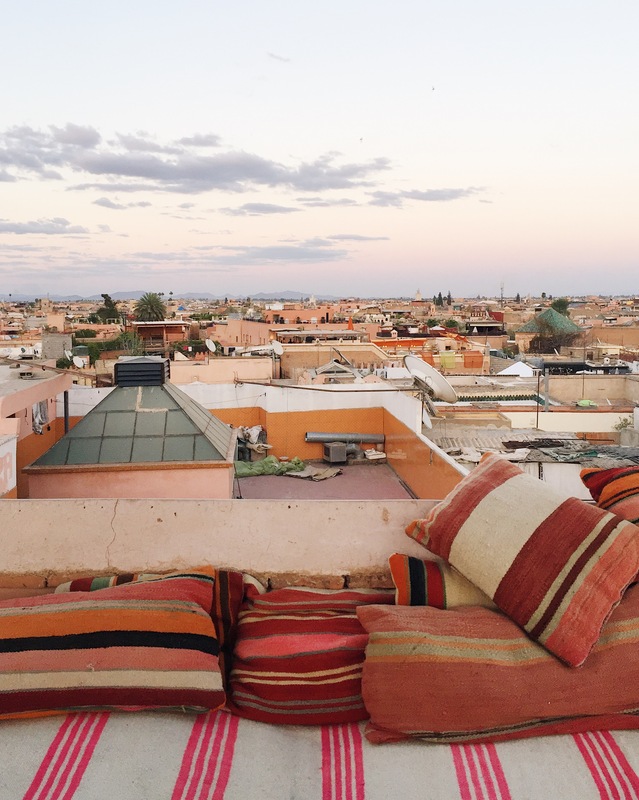 Marrakech sunset on the rooftop.